Powder coated tubular steel, synthetic wicker seat & back, Anthracite finish. 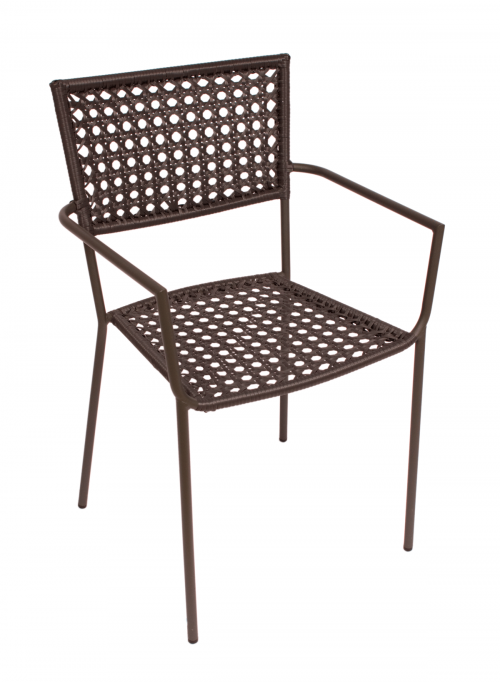 E-coated steel for corrosion resistance, powder coat anthracite finish/graphite wicker. Synthetic wicker seat & back has just enough flex to give an added feel of comfort. Sophisticated weave adds a touch of class to indoor or outdoor dining. Use with our anthracite finished Edo & Rea table tops. Dimensions: seat height: 17.5", seat depth: 16", seat width: 17.25", overall height: 34"
Click here to watch the Chianti video!